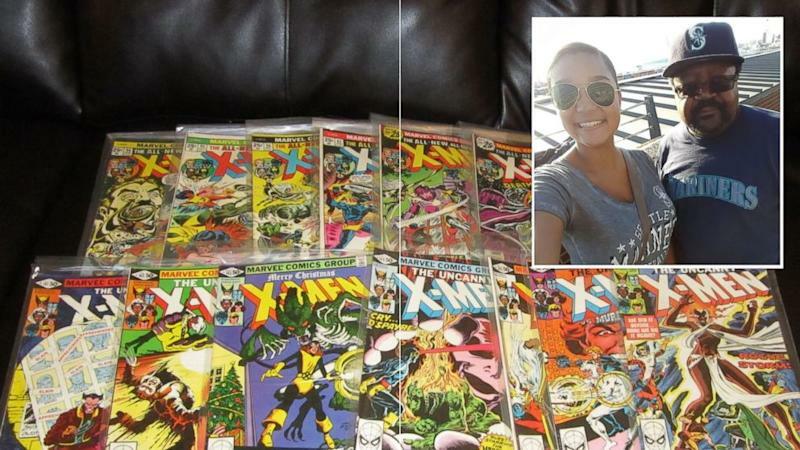 Al Sanders may have spent his entire life reading about superheroes in his vast classic comic book collection, but now he’s turning into a real-life superhero by selling them all to help fund his daughter's college tuition. Sanders has close to 5,000 vintage comic books, ranging from Iron Man and X-Men to Batman and Luke Cage, Hero for Hire. It’s now time for the comics to go, too. Rose is Sanders’ only child. Although she’s only 16 years old, she’s graduating high school early in June to attend Fisk University in Nashville this fall. “She started kindergarten a year early and she determined last summer that she wanted to graduate a year early,” the proud father said. He’s traveling to Emerald City Comicon this weekend in hopes of making a lucrative deal for his beloved lifelong collection. He has no regrets about this decision as long as it means his daughter starts college on the right foot financially. He says his daughter “really does appreciate” his efforts. “She is the prettiest flower in my garden,” Sanders said of his soon-to-be college freshman.